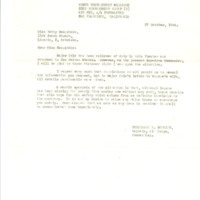 This letter from Betty Sengstake to Eugene Sengstake Sr. discusses Ruth's, Eugene's wife, pregnancy as well as Betty's engagement. 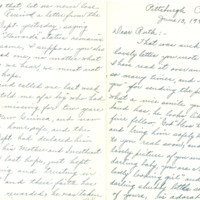 This is a letter from Ruth Sengstake Sr. to her husband Eugene Sengstake Sr. In this letter, Ruth writes her husband updates Eugene on current events in her life. 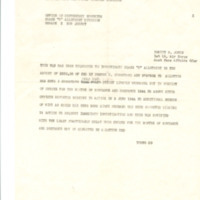 In this letter, J. A. Ulio, an army officer, informs Mrs. Sengstake that her husband is missing, and that she will be informed if anything changes. She is also told that she is entitled to his pay and allowances. 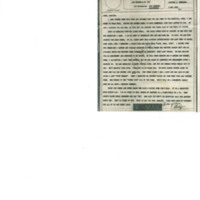 This letter from the 22nd Bombardment Group to Ruth Sengstake discusses Eugene Sengstake Sr.'s missing in action status, and that there is still hope of finding him. 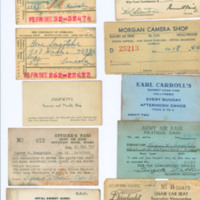 These are the contents of the leather wallet carried by Eugene Sengstake Sr. 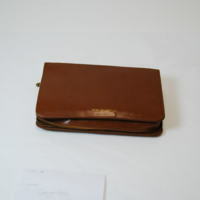 This is a monogrammed, zippered, leather toiletry kit belonging to Eugene Sengstake Sr. It includes a comb, soap box, shoe brush, shoehorn, trimming scissors, file, a picture frame, and loops to accommodate other items. 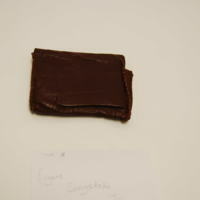 This is a leather pocket wallet that Eugene Sengstake carried during World War II. 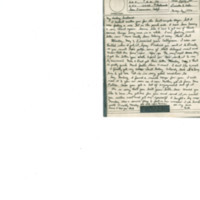 This is a letter from Mrs. E. Vierling in reply to a letter from Ruth Sengstake praising Ruth's son and reassuring Ruth on Eugene's whereabouts. Mrs. Vierling also has a loved one missing in action. 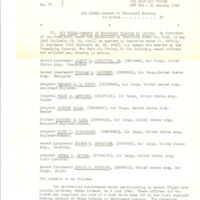 A list of Air Medal award winners who were missing in action. This list includes Eugene Sengstake Sr. and nine others. 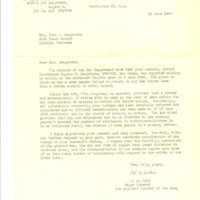 A request from Robert W. Jones, Personal Affairs Officer, to the Office of Dependency Benefits. This is a request to investigate the missing beneficiary checks from the months of November and December from the household of Ruth Sengstake.